Quinoa is a popular whole grain thanks to its quick cooking time, high protein content, and nutty taste. The quinoa really soaks up the dressing in this recipe. Wait to dress the salad until right before serving. Place quinoa in medium saucepan along with 1¾ cups water. Bring to boil, then cover and reduce heat to simmer for 15 minutes or until cooked. Remove lid and cook until all water is evaporated. Remove from heat. Make the dressing by combining all ingredients in a bowl or jar. 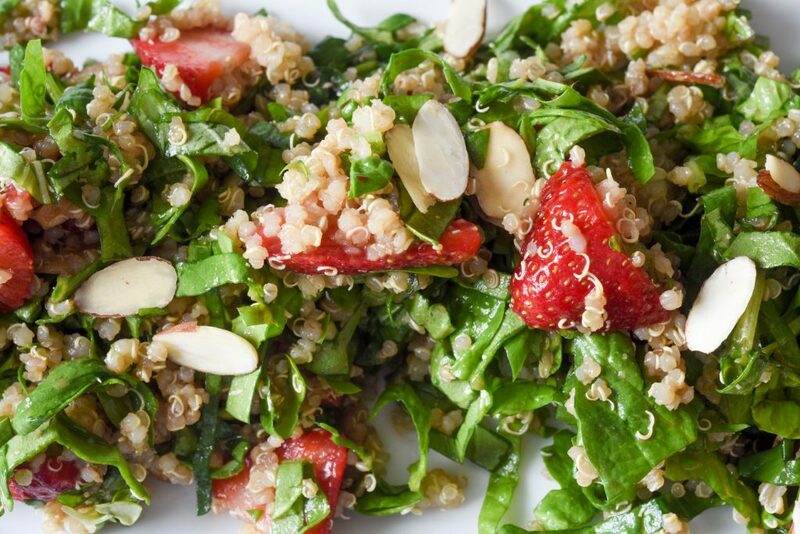 Place the quinoa, spinach, strawberries, toasted almonds, and basil in bowl and combine. Add and toss in dressing just prior to serving.